I doubt many would argue about the Celtics coming out ahead in the Kyrie Irving for Isaiah Thomas trade. The major piece for the Cavaliers was the Brooklyn Nets' first-round pick, and that potentially sits at number seven. 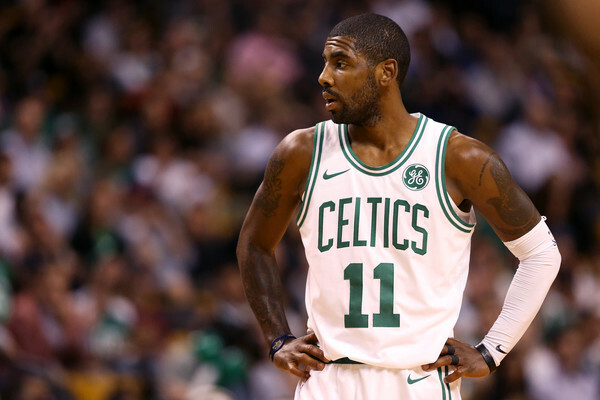 Kyrie Irving has proven to be virtually irreplaceable for Boston. He is the leader in points at 24.5 per game, and he is a true leader on the court. Isaiah Thomas has played only eight games for the Cavaliers and appears to still be hampered by the hip injury. Ante Zizic is only averaging 3.4 MPG, 1.1 PPG and 1.3 RPG and obviously having little impact. Jae Crowder is having a decent season with Cleveland, but he has recently been removed from the starting lineup with the Cavaliers losing six of their last eight games. It’s funny how people think I keep bringing up the dumbass trade situation. It’s the media asking the same dumbass questions about it. So it’s obvious they want to keep it going. It’s not like when I’m interviewed I’m asking them can you PLEASE bring up the trade please lol. Here is a brief look at the win/loss numbers for both teams. The Cavaliers had a 51/31 (.622) record last season and had a 25/13 (658) record prior to Isaiah Thomas' season debut this season. The Cavaliers are 2/6 (.250) in the last eight games. Jae Crowder hasn't lived up to his reputation as a tough and rugged 3-and-D wing. But the biggest (problem) stands just 5-foot-9. It's (Isaiah) Thomas, who has been among the league's worst defenders for years and is already the team's weakest. It starts with Thomas, the head of the snake, the player responsible for slowing down the opponent at the point of attack. Following the blowout loss, (Tyronn) Lue pointed to "matchup problems." He might as well have been singling out Thomas, who was no match for Russell Westbrook. After watching Westbrook fly past or leap over diminutive Thomas, even gesturing about Thomas being too small following a baseline layup in the second quarter, the Cavs attempted to hide Thomas on less formidable offensive threats. There's no scheme that can make up for Thomas' limitations. There's no amount of offense that can allow the Cavs to survive with that porous play at the other end of the floor. His disastrous defensive rating of 151.6 led to the Thunder outscoring the Cavs by 41 points per 100 possessions during Thomas' time on the court. It's taken just seven games for him to drop to the bottom of the league list in that important category, only ahead of two players who are no longer active (Jordan Crawford and Jeremy Lin). (In Boston) He (Isaiah) shared the backcourt with either Avery Bradley, one of the premier on-the-ball defenders, or Marcus Smart, who built a reputation on that end. Al Horford, who typically ranks near the top in important individual defensive metrics, helped anchor the defense, erasing some mistakes around the rim. There's no one to protect him like Boston did, no one to take the assignment against the NBA's best point guards. That is one of the takes from Cleveland on the rumblings within the Cavaliers' organization. Boston made out nicely in that trade, and it shows in the numbers and in what we see on the court. We all knew that Isaiah wasn't the next coming of K. C. Jones on defense, and he still has lingering effects from the hip injury. He isn't totally to blame for all of Cleveland's woes, and neither is Jae. I feel bad for Kevin Love, who may be wishing he had chosen Boston over the Cavaliers. So this is another Danny Ainge trade that gets a very good grade. I give it an straight A. What do our readers give it?